My Baggage is the convenient and low-cost alternative way to get your luggage to and from Gibraltar. Travelling to Gibraltar doesn’t have to be stressful, our services are super easy to use and our customer service experts are at hand to help you with any queries. Located on the southern tip of Spain, Gibraltar is a multi-cultural and multi-lingual location which attracts many visitors all year round. Gibraltar is a British overseas territory that isn’t actually in Britain but it has a strong connection with the UK and is a part of the European Union. The official language here is English, however, Spanish is also widely spoken in Gibraltar by locals. Gibraltar is one of the richest countries in the world. Over 30,000 people live in Gibraltar. The currency is Sterling, however they have ‘Gibraltar’ written on their money. There’s many ways to get your luggage to a destination and it’s important that you know all of your options when travelling to Gibraltar. A simple way to get your luggage to Gibraltar is by checking it onto your flight. Booking bags with an airline can be great as you can travel with your bags on the same aircraft as you. This means there’s really no need to worry about the whereabouts of your belongings. However, when travelling by plane to Gibraltar with a lot of luggage, it can be rather stressful having to drag your bags around with you. As well as this, if you’re sending a few bags on an airline or your baggage is overweight, you’ll be charged heavy fees. Maybe you’re relocating to Gibraltar and want to bring your large,household belongings with you such as sofas, kitchen tables etc. If this is the case, you should use a traditional removals company. They specialise in shipping larger items such as sofas etc. that you cannot send on other services. However, if you’re on a tight schedule and can’t wait very long for your items to arrive at your destination in Gibraltar, then using a traditional removals company mightn’t be a great idea as it can take up to 2 months for your belongings to arrive, depending on the route. If you’re fed up of paying expensive baggage fees on your airlines and using a traditional removals company is out of your budget or not needed, transport your luggage to Gibraltar with a luggage shipping company. Using a luggage shipping company is the cost-effective way of getting your luggage to your destination within Gibraltar and it’s super convenient for you too, leaving very little for you to do and making your trip to Gibraltar more enjoyable. Here at My Baggage we like to make our services affordable for our customers. We don’t like being beaten in price, so if you have got a cheaper quote elsewhere, please do get in touch and we’ll see what we can do for you! My Baggage offer convenient, door-to-door luggage shipping which can take a lot of stress away from you when travelling to Gibraltar. Once you’ve made a booking, printed off your labels and attached them to your shipment, we will then send a delivery driver to your house to collect your shipment and then deliver it to your destination address. Our online booking system is available 24/7 and it’s super easy to use. You can start by getting a quote online and if you have any questions, simply chat to us online through our live chat tool. If you want to check where your shipment is at anytime, you can sign into your account online and use our tracking system. My Baggage can ship much more than just personal effects to Gibraltar. There’s a number of other things our customers enjoy bringing to Gibraltar to make the most of their time there. Have a look at some things we can ship to Gibraltar for you. If you’re wanting to ship something that we haven’t mentioned here, contact us and we’d be more than happy to advise you on whether we can ship your item or not. Gibraltar is very close to the North of Spain, which is home to many leading golf courses in Europe. Many people staying in Gibraltar enjoy driving a short distance to the North of Spain to play on some of these golf courses. You can ship your golfing equipment with My Baggage at a low cost. 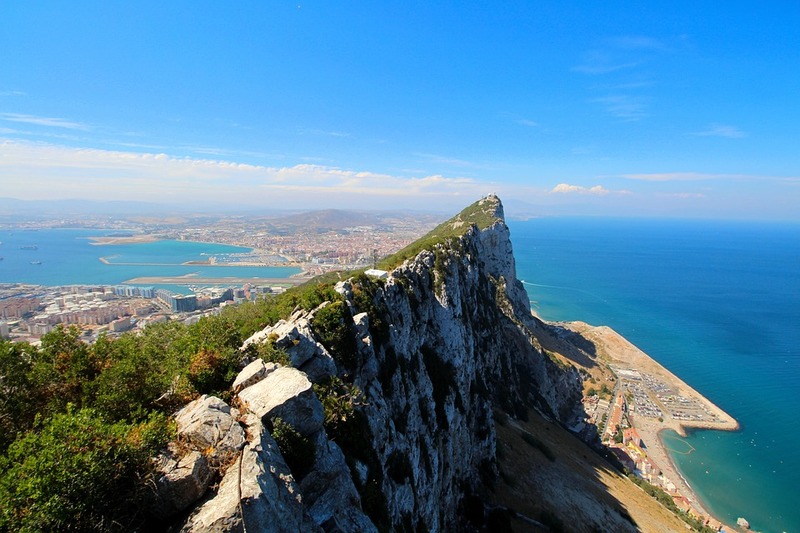 If you ship it ahead of your journey, it will be in Gibraltar waiting for your arrival, meaning you don’t have to carry it around with you when travelling. If you know that your luggage will be or is likely to be oversized when heading to Gibraltar, you can ship it with My Baggage to avoid paying high charges. 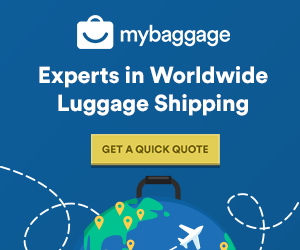 Shipping oversized luggage with My Baggage means you can bring that little bit more without having to pay expensive fees and you can enjoy your trip without carrying heavy bags. When packing for your My Baggage shipment, please make yourself aware of our prohibited and non-compensation items list. Any person sending any items that are stated in our prohibited items list may be subject to their order being cancelled and will not receive a refund. If the item is collected it will not be covered by compensation cover. What type of packaging can I use? When sending a shipment with My Baggage, we recommend using double-walled cardboard boxes or suitcases (A mixture of both can also be used). If using boxes, please ensure they are sturdy and will hold all of your belongings securely during transit. If your shipment consists of fragile items, it’s important that you use internal packaging too. The types of internal packaging that could be used could be bubble-wrap or newspaper, used to minimise the likelihood of breakage or damage. Booking online has never been easier! You can start your My Baggage booking by getting a quote online today by simply clicking on the ‘get quote’ box below. Once you’ve made a booking, we will send you some labels that you will need to print off and secure to your suitcase/boxes. After this, you can sit back, relax and let My Baggage take care of the rest!